I don’t normally eat spicy food, so it may seem strange that I moved to Chongqing where the food is mostly full of peppers and fiery. I didn’t move to Chongqing because of the incredible food culture, rather because it was simply where life took me at the time. 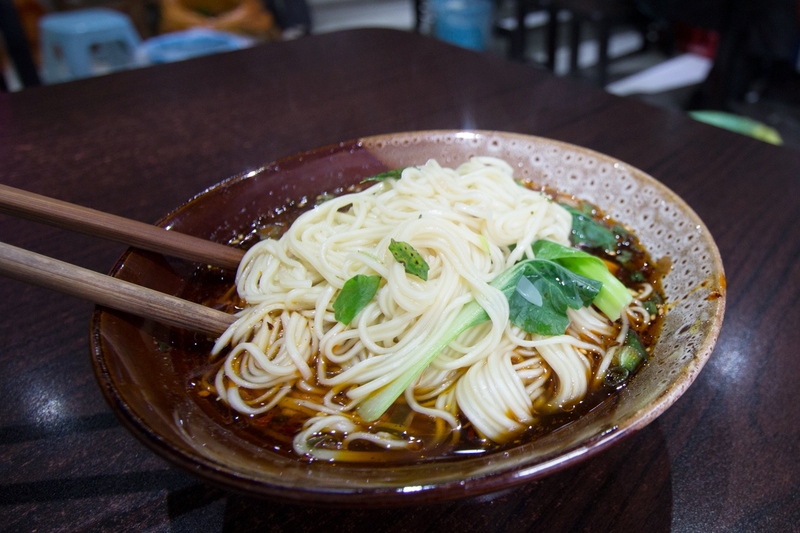 I have since then experienced the signature mouth-burns that can follow from a Chinese hotpot (火锅) meal and the more subtle and soothing spicy taste of the local xiaomian (小面), which literally translated means “small noodles”. When I went to my first hot pot restaurant in Chongqing, I honestly didn’t know what to expect. I knew the basics about what hot pot is: a big bowl of spicy broth over an open flame—which you put raw vegetables and meat in to boil—then dig out with chopsticks and eat. It’s typically a social and communal meal, meaning that many people will around the same table and eat together. I recall sitting at a grand table with friends all around, everyone snatching food from the pot with their chopsticks. After just one bite, my mouth was on fire. It’s not just foreigners who suffer from sweats and burns when we eat hot pot, the Chinese can’t always handle it, either. Many hotpot restaurants now offer different grades of spiciness to cater to as many customers as possible. It’s definitely an experience, and a “must try” while in Chongqing, but for the most part I’d rather leave this kind of extreme spice for friends and colleagues with a more adventurous palette than I have. Another famous local food in Chongqing is xiaomian. Thinking it was a fad, I avoided it at first; everyone wouldn’t stop talking about how delicious it is. Finally, after trying a bowl of “small noodles”, I could taste what all the fuss was about. There is a small kitchen near my school; not quite a restaurant, it’s just a small room with tables and chairs, and a kitchen in the back. It’s become the “go-to” spot for me and my colleagues. While hotpot can be a bit pricy by Chinese standards (about CNY 300-400 for four people), a bowl of xiaomian is usually just around CNY 5 (less than $1!). One bowl will completely fill you up, and though the taste is spicy, there’s no lingering burning sensation in your mouth. It’s quick, tastes great, and isn’t completely unhealthy. 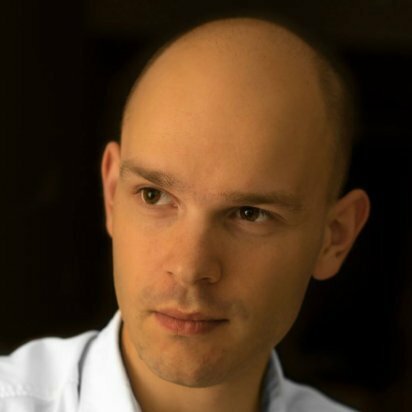 My colleagues and I have a 2-hour lunch break on weekends—after a bowl of xiaomian we usually have another 90 minutes to sit, talk, relax, or take a nap. It’s perfect. I do enjoy hotpot occasionally, and believe it or not, the spice is easier to handle if you’re in good company. If there are a few 外国人 (wai guo ren, or foreigners) at the table, the waitress will usually ask how spicy to make the hotpot. We usually aim for something moderate—between drop-dead spicy and plain water. 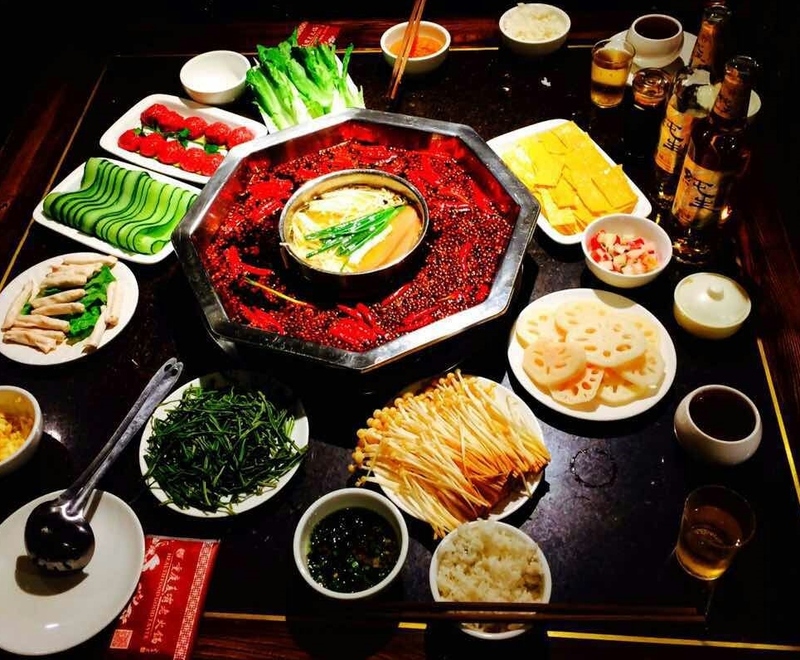 With a nice, cool beverage, and a little sauce to neutralize the spice, hot pot can be a very enjoyable and social meal, even for who don’t like spicy food. If you ever pass through Chongqing, these are two foods that you absolutely must try. Thankfully that’s easy to do, because you can find hotpot and xiaomian restaurants on nearly every street corner in Chongqing!